Probably the most common reason people are motivated to study their microbiome is gut dysbiosis. The word “dysbiosis” is as good a diagnosis as any for a problem that is often frustratingly difficult to pin down. Ten years ago, CT was in excellent health, active in sports with a lean, muscular build. But after a trip to China, and a bout of what he thought was food poisoning, he hasn’t been the same. Food allergies, sensitivities to chemicals and bright lights, fatigue, and unexplained muscular problems. Doctors were baffled. Nothing seemed to help, and it looked like he might simply have to accept that this was the new way he’d have to live. Figure 7.10: The blue lines are CT’s samples. So what might be driving CT’s issues? 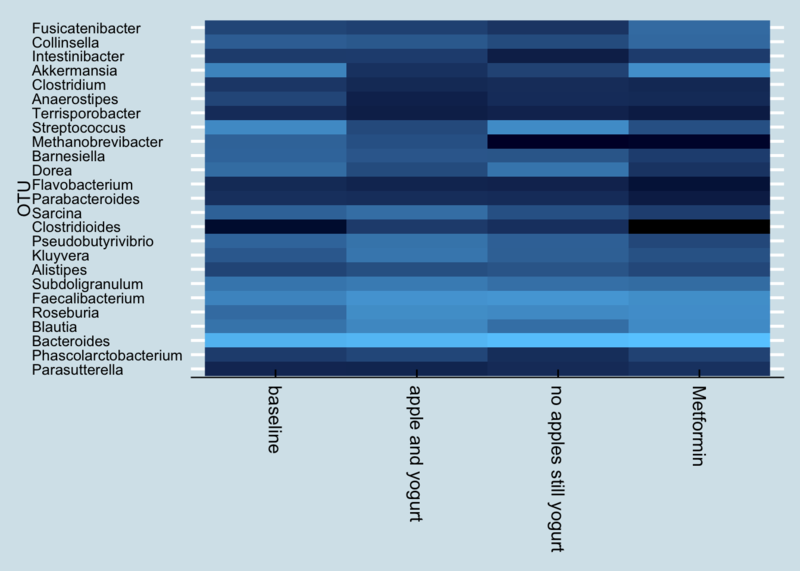 Let’s look at the microbes that are significantly different in CT than in our database of healthy people. 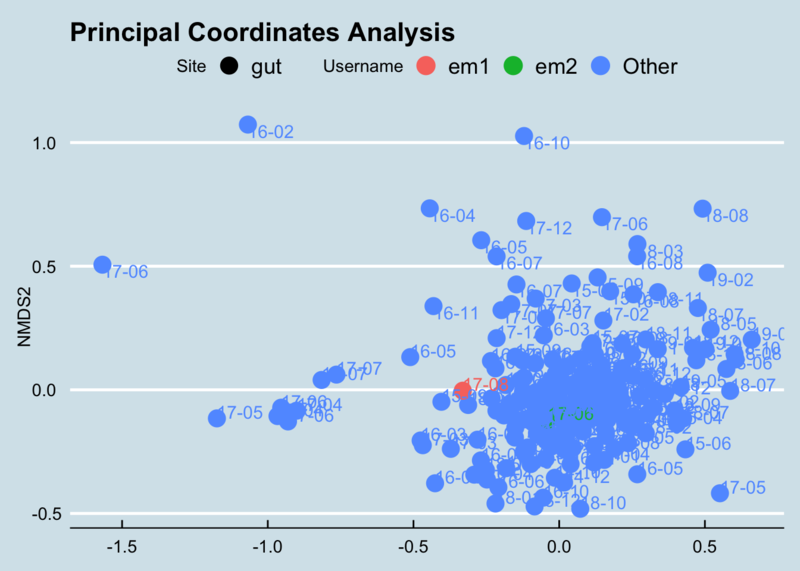 The genus-level microbes listed in Figure ?? are outliers. 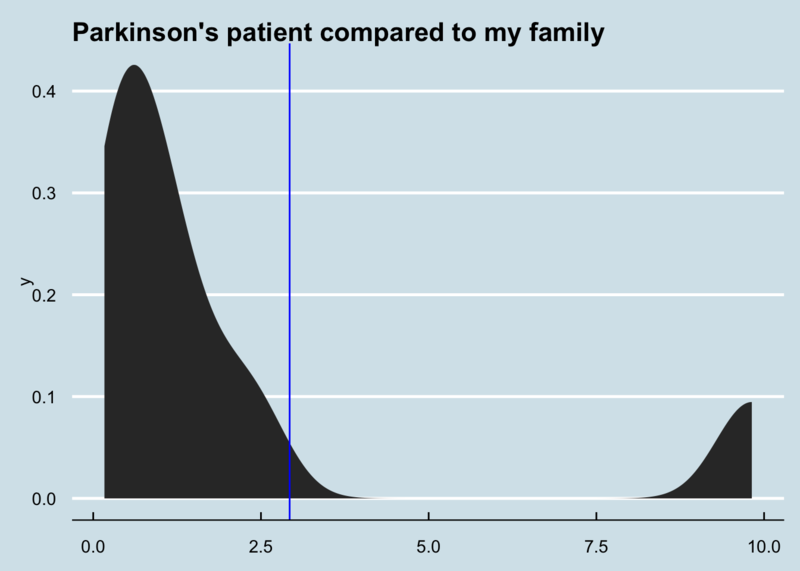 From this it appears CT has far higher Haemophilus than the healthy people. What might that mean? Can we find other people with similar high levels? Here’s a look at the top 10 most abundant samples in our database. Note that all are unhealthy. CB is a health-conscious woman who has long suffered from gut issues. When I look closer, it appears that much of the difference is driven by one genus, Colinsella, of which she has among the highest abundances I’ve seen. 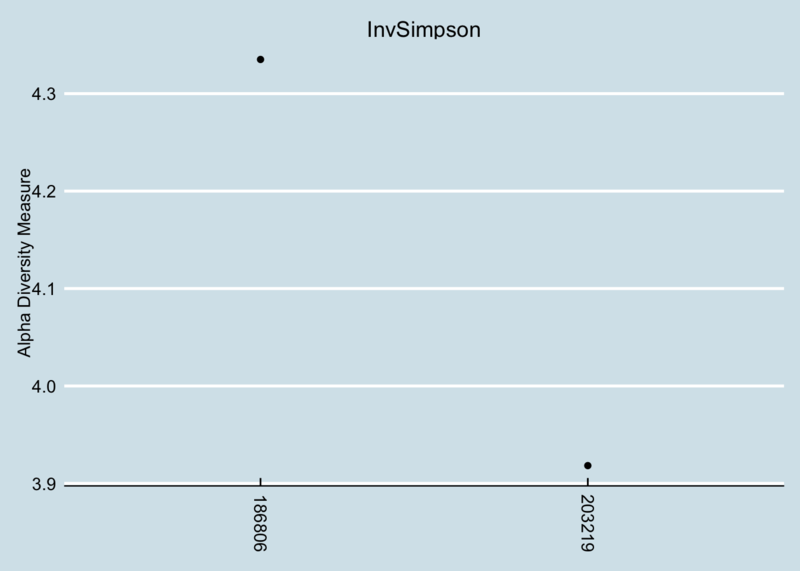 In my own gut samples, I’ve never had more than 5% of that genus, but she has more than 8%. Is that good or bad? Who knows? But it’s something I would spend more time studying. Let’s look at another case: “Ed” is a German man on a mostly vegetarian diet. L and her friend S suffer from the gluten disorder called Celiac disease. 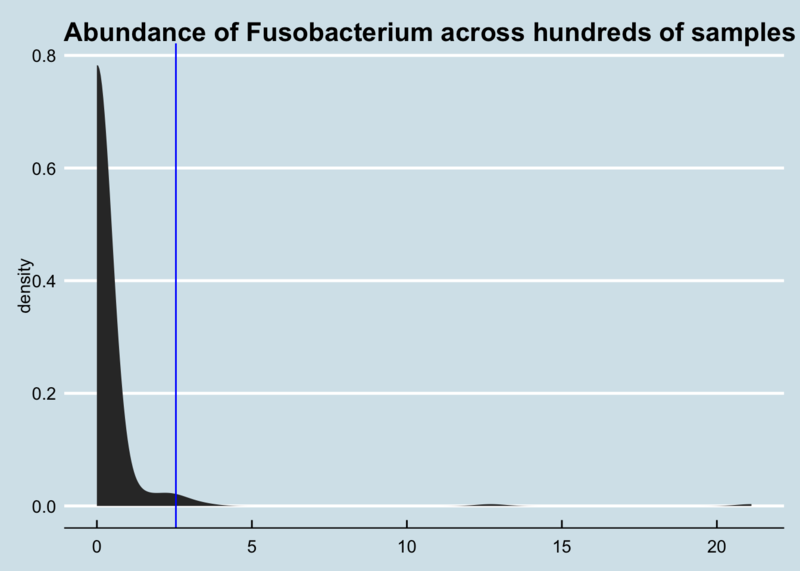 I don’t often see L’s level of Fusobacterium. A quick check, though, shows that she’s not the highest. His doctor says he has high Klebsiella, but how high is high? Another user was recently diagnosed as pre-diabetic and began taking Metformin. 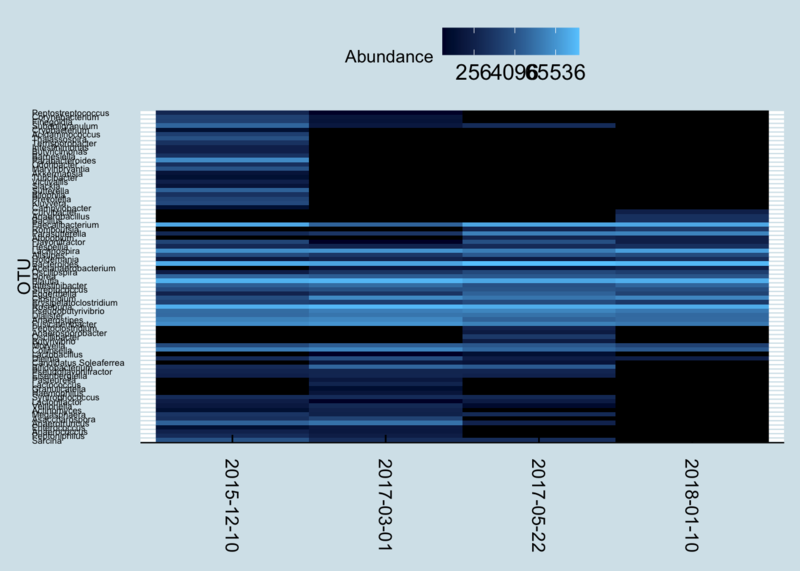 His microbial abundance seems to be in range of healthy people at both genus and species levels. Here’s another person. 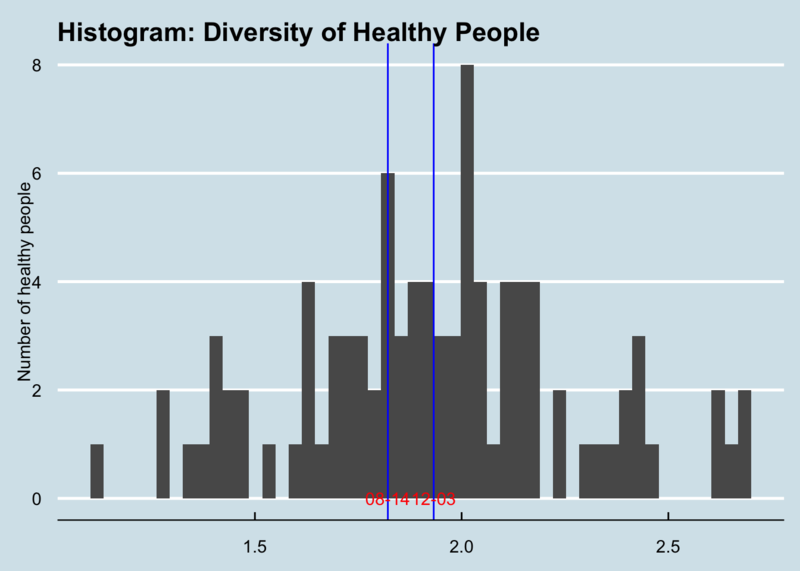 Let’s see which parts of their sample are outliers compared to healthy people. Usually I associate the phylum Proteobacteria with trouble. So when recently somebody showed me results with nearly 10%, I immediately wanted to know more. Most of the Proteobacteria is from the genus Parasutterella. I’m not sure what this one does, but the levels in this sample are much higher than anything I’ve seen before.